For some, Iowa may call to mind images of rolling corn fields, or the Field of Dreams. But those in the know will tell you that the Hawkeye state has a storied history of technological innovation. The first electronic digital computer was created in a lab at Iowa State and Lee de Forest, the “Father of Radio,” was born and raised in Council Bluffs. Perhaps most impressively, sliced bread is an Iowan invention, with the first single loaf bread-slicing machine patented here in 1928. In 2009, Iowa also became home to a Google Data Center, where I—along with hundreds of Iowans—work to connect billions of people around the world to Google. When someone logs onto Gmail, watches a YouTube video or searches for an answer to some burning question, they might not think of Iowa, but they should. To cap off the competition, Google will invite Iowans to select one of the five projects they believe will have the greatest impact. We kicked the Challenge off this morning in Des Moines at the first stop of a three-city Grow with Google Iowa Tour, where we’re teaming up with local libraries and partner organizations across the state to offer free trainings so that Iowans have the opportunity to learn digital skills to grow their careers or businesses. Tomorrow and the following day, we’ll visit libraries in Council Bluffs and Davenport as part of a larger commitment to support economic opportunity in America and bring in-person digital skills workshops to libraries to all 50 states. Iowa nonprofit organizations can find more information on the Google.org Impact Challenge and submit their applications by visiting g.co/iowachallenge. The deadline for submissions is May 17th at 11:59 p.m. CT. We’re expecting to name the five winners in the fall of 2019. Considering the sliced bread precedent, the bar is being set pretty high. This entry was posted in Official Google Blog and tagged google.org, grow with google on April 15, 2019 by The Official Google Blog. In October 2017, I returned to Pittsburgh, Pennsylvania—the first city I saw when I came to America over 25 years ago—to announce Grow with Google, a new effort to create more opportunity for everyone. At the heart of this goal was our five-year commitment to provide $1 billion in Google.org grants and 1 million Googler volunteer hours to organizations all over the world. Goodwill Industries International was one of the first groups to join us in this effort, and just over a year later, I’m proud to share that our work together has already helped a quarter of a million Americans learn new digital skills, and 27,000 Americans find a job. This impact was made possible by the Goodwill Digital Career Accelerator (GDCA), a program to equip 1.2 million Americans with the digital skills needed to succeed in today’s job market and prepare for the changing workforce. GDCA was launched with the support of a $10 million Google.org grant made to Goodwill Industries International, the largest grant we’ve ever made to a single organization. Goodwill has a track record of helping place people in jobs that provide good wages and pathways to future careers, and the impact we’ve seen through this program is no different. One example is Simone in Astoria, New York, who was hired as a remote receptionist after taking a weeklong customer service and call-center training that taught her basic computer skills. 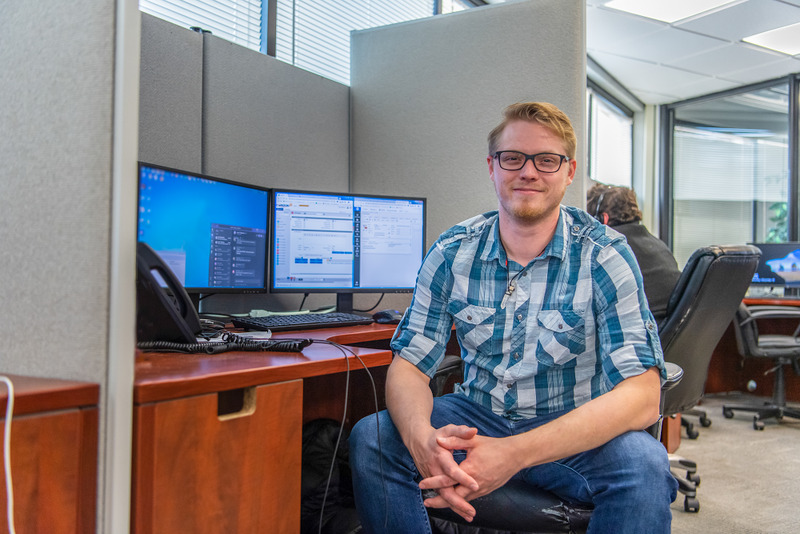 Other job seekers have found positions in fields like IT support, aircraft manufacturing, and information and communications technology. In the case of Chelsea, these trainings led her to a job at Google. After moving home to Nashville from Atlanta, she struggled to find housing for her family. While working at Goodwill of Middle Tennessee, she was encouraged to enroll in the Google IT Support Professional Certificate program. With nearly one year of training under her belt, she’s now working at our data center in Clarksville, TN, and has moved with her daughters into a house nearby. Chelsea is one of 66,000 people enrolled the Google IT Support Professional Certificate, and 84 percent of whom say it helped them to advance their job search or career. Goodwill’s programs also give people the digital skills they need to launch and grow a business. Femeka in Fort Worth, Texas, started her own gift basket business, but was struggling to reach new customers. 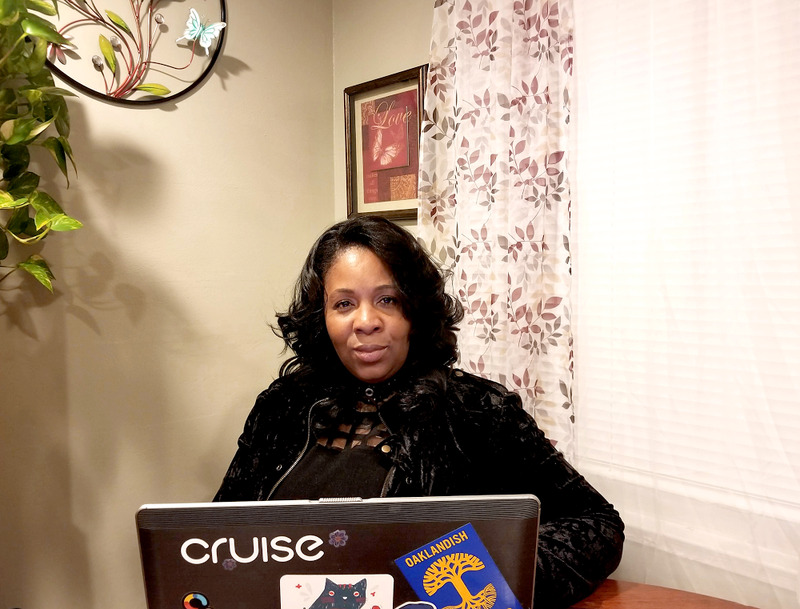 She saw a flier for the Goodwill program at a local women’s shelter and completed courses in basic computing, internet navigation, productivity tools and G Suite in just a few weeks. Femeka used these new skills she learned to create order forms for her gift baskets and build a website to attract new customers. Simone was hired as a remote receptionist after completing a customer service and call-center training through Goodwill NYNJ. After enrolling in Goodwill Fort Worth’s Digital Skills program, Femeka learned the skills to build a website for her gift basket business. The Goodwill Digital Career Accelerator enabled Goodwill of Wichita to transform an RV into a mobile training lab. Goodwill’s model is effective because it’s not a cookie cutter approach to job training. There’s something for everyone to learn that can benefit their careers, whether it’s getting basics skills like word-processing or email, or more specific skills to get a better job in the same field. Local Goodwill organizations are also empowered to build programs that fit their communities best. In Wichita, Kansas, a lack of transit options led the local Goodwill to bring classes to 35 rural communities around the state in an RV! The Goodwill Digital Career Accelerator operates at 93 Goodwill organizations across 34 states, with plans to expand to 126 in the coming months. Meanwhile, 200 Google employees have volunteered their time and expertise to conduct trainings, and seven Google.org Fellows are embedded full-time at Goodwill locations across the country. Our strong collaboration with Goodwill has contributed to the progress we’ve made toward the goal of $1 billion and 1 million hours we set in Pittsburgh. Overall, Googlers have already served 280,000 volunteer hours and we’ve made over $300 million in grants. I’m proud of what we’ve accomplished together, but there’s a lot more to work to make sure everyone has access to opportunities, no matter where they live. We’ll continue to update you on the lessons we’re learning and the impact we’re seeing in the months and years to come. 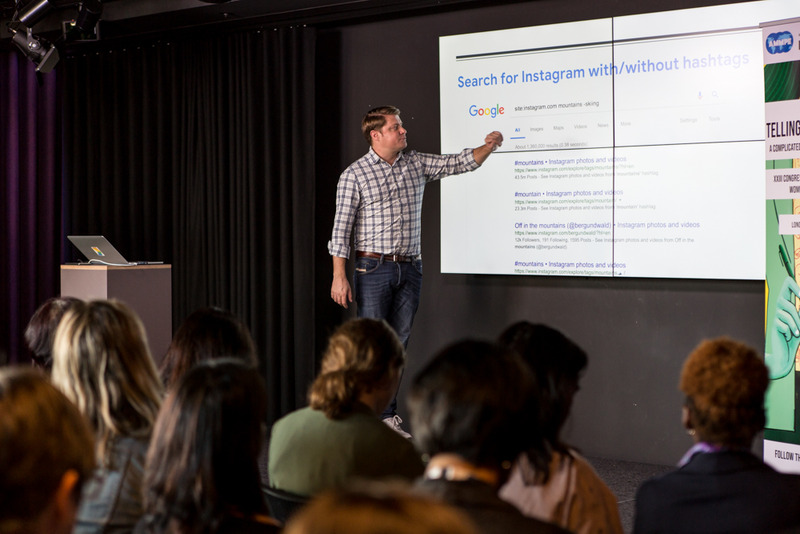 This entry was posted in Official Google Blog and tagged google.org, grow with google on April 10, 2019 by The Official Google Blog. 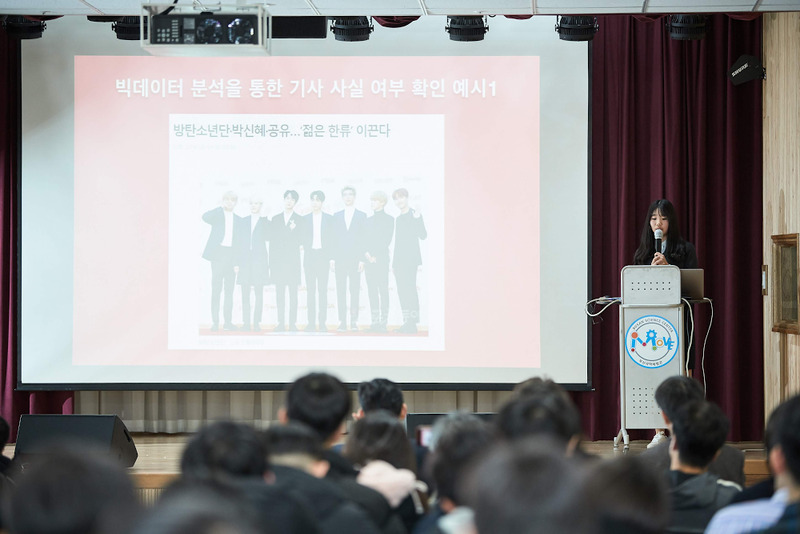 Three years ago, the Center for Digital Literacy (CDL) embarked on a pilot program to bring digital and media literacy skills to junior high school students in schools across Seoul and Gyeonggi provinces. Through the Digital & Media Literacy Campus program, kids like Yang Chaemin have learned how to better evaluate online media sources and also to experience the fun and excitement that digital technologies like AR and VR have to offer. Here, I’m with Yang Chaemin and her classmates at Geumho Girls Middle School, where they’re learning to critically interpret online resources and are able to practice using a range of digital tools. Two years ago, with a grant from Google.org, CDL was able to expand the program. Since then, they’ve reached 10,000 children across 200 schools. CDL has also delivered training to a thousand parents, equipping them with tips to help their kids use digital media. Working with parents is important because developing awareness for opportunities that technology creates often starts at home. Given the incredible impact CDL has had over the last two years, we recently extended our support for CDL. Through an additional grant, CDL will now bring the program to another 7,000 students and train 600 more teachers across Korea. In this phase, they’ll especially focus on bringing the program to children in rural areas, where there are often fewer opportunities to access digital education. Over the past few years, Google.org has had an incredible opportunity to support a number of education programs in Korea. Whether it's investing in digital literacy as we’ve done through CDL, or inspiring innovative thinking among children at the Gwacheon National Science Museum, we hope these efforts will equip more Korean youth with the inspiration, skills and knowledge to reach their potential. This entry was posted in Official Google Blog and tagged Google in Asia, google.org on March 28, 2019 by The Official Google Blog. Editor's note: Madelyn Knight, 18, is a senior at Southport High School in Indianapolis and is the editor-in-chief of the school news magazine, The Journal. She was recently awarded the 2019 Indiana High School Journalist of the Year by the Indiana High School Press Association. MediaWise is part of the Google News Initiative and is a Google.orgfunded partnership between The Poynter Institute for Media Studies, the Stanford History Education Group (SHEG), theLocal Media Association(LMA) and the National Association for Media Literacy Education(NAMLE). MediaWise aims to teach one million students how to discern fact from fiction online by 2020. The average time I spend on my phone each day is four hours and 48 minutes, according to a screen-time tracker on my smartphone. Three of these hours are devoted almost entirely to being on social media. When my friends from my high school use the same trackers, their results are similar to mine. In this area, I have an advantage over my peers. I am a student journalist, who has learned about media literacy and how news spreads. I’ve learned about fact-checking and bias within news sites because of being on my school’s news magazine. I know that not everything on the internet is true. But not all of my friends are that lucky. I know that not everyone is as aware that there may be false information, and they don’t have the knowledge to combat it. This is why we need MediaWise. Today’s teenagers and children have quite literally grown up on the internet. Yet we aren’t taught how to tell if something shared on the internet is real. It only makes sense to give teenagers a guide to notice the signs and how to conduct their own research on something they see online. The first time I heard about MediaWise was at the High School Journalism Institute at Indiana University the summer before the beginning of my senior year. At the time, MediaWise had just begun, and they weren’t sure how or when they were going to have teens help fact-check. However, I knew I wanted to be a part of MediaWise right away. I kept up with the details and emails until finally, I joined theteen fact-checking network for the winter session in January. As a part of the network, I’ve had the opportunity to make videos for MediaWise’s social media platforms, teaching people how to fact-check what they see online. One of my favorite tricks and tips is thereverse Google Image search, which makes finding an image on the internet super simple. I used it in my first fact-check, and I think it’s probably one of the most useful tools out there. What I noticed, however, is that a lot of my friends and peers didn’t even know it existed. Because of that fact-check, I know I am teaching people my age how to use that resource and create a simpler, more accurate online world. One of Madelyn Knight's fact-checking videos. Personally, I’ve definitely adjusted the way I look at the internet. When I show my friends a meme, they always joke, “Hey! Did you fact-check that?” They’ve sent me links to posts I could possibly fact-check, and that means they, too, are thinking about what they see online. It helps me realize that what I am doing is actually making a difference. Being a teen fact-checker with MediaWise has taught me a lot about myself. But mostly, it’s taught me that I have the ability to make a difference in the world. I’m no longer complaining that people don’t know what they’re talking about online. I’m actually showing them how they can get better. This entry was posted in Official Google Blog and tagged Education, Google News Initiative, google.org on March 25, 2019 by The Official Google Blog. In the first year of the Google News Initiative, our efforts have centered around a spirit of experimentation, with programs focused on three pillars: working with the news industry to evolve their business models, raising up quality journalism and driving new thinking and approaches in newsrooms. There’s still much to be done, but we remain committed to collaborating with publishers to build a stronger future for journalism. The business of journalism is undergoing a major transformation as the focus expands from digital advertising to other ways of making money, like subscriptions. Last year, we worked with publishers to design Subscribe with Google (SwG) which makes it easy to subscribe and access news publications across surfaces and devices. Today, nearly 50 partners from 19 countries have signed up to implement Subscribe with Google and publishers like The Washington Post, the Financial Times, Folha de S. Paulo and Nine Publishing are using the product. Beyond subscriptions we’re expanding to support publishers who monetize using contributions or membership-based models. The Guardian, a leader in the field, is our first partner to test this approach and will help to inform best practices before we fully launch later this spring. But technology is only one part of the solution. Deeply understanding the needs of readers, building new capabilities and adopting a subscriber-first culture require new approaches and commitments from news publishers. Our new initiative called the GNI Digital Subs Lab will help 14 publishers in North and Latin America transform their approach to digital subscriptions. Every day, people come to Google to access quality journalism, but not everyone on the web acts with good intent. Combating misinformation requires forging partnerships with industry organizations, investing in better product solutions, and training journalists on the latest verification tools and technology. In the last year our News Lab has trained nearly 300,000 journalists in person and online around the world on digital tools for journalism, with a goal to reach 500,000 journalists by 2020. We’ve partnered with the International Fact Check Network and dozens of newsrooms worldwide to quell the spread of misinformation, especially during key times like elections. We’ve supported initiatives like Verificado in Mexico, Comprova in Brazil, CekFakta in Indonesia, FactCheckEU and the journalist training network in India, which included over 100 newsrooms and reached thousands of journalists ahead of key elections—there’s more to come in Australia and Argentina. We’re working with First Draft on their CrossCheck tool, which helps journalists debunk and share information across the world—they’ve already trained hundreds of journalists ahead of the EU elections. 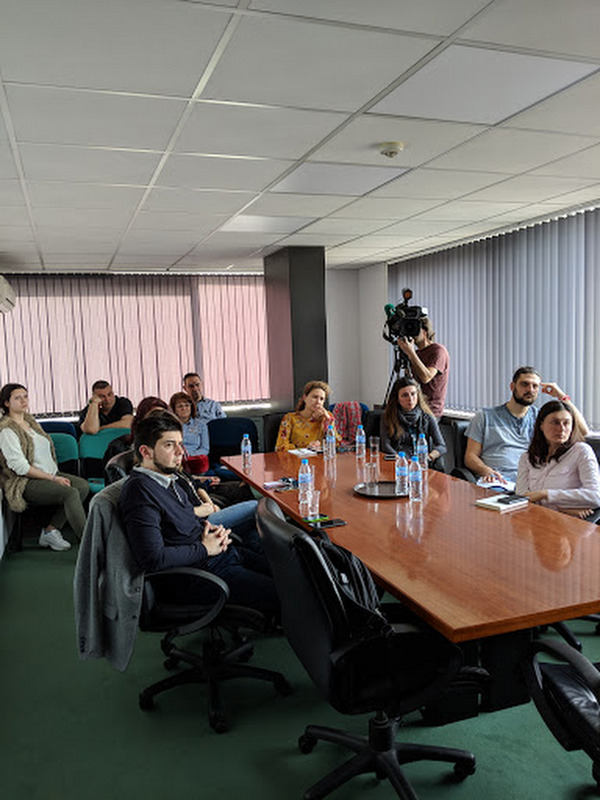 Journalists in Bulgaria taking part in a News Lab workshop. Our fact checking project launched in October 2016 to help people find articles that fact check claims made on the web. Earlier this month we unveiled a feature on YouTube in India that automatically surfaces third-party fact checks from eligible publishers alongside YouTube search results. We’ll soon be launching two tools to help fact checkers work more efficiently and effectively. The Fact Check Markup tool makes it easy for reporters to put structured data markup into their fact checking content using the open standard ClaimReview, and the Fact Check Explorer helps journalists find fact checking articles for various topics through a simple search function. We’re also opening up APIs for these tools to help developers build their own applications to assist fact checkers across the world. Beyond our products, we’re working to tackle the intentional spread of misinformation across Search, News, YouTube and our advertising systems. In the coming weeks we’ll launch a “How News Works” site, communicating the values that shape our approach. And to teach the next generation the difference between fact and fiction online we launched a $10 million global media literacy campaign with Google.org last year. In the U.S., MediaWise—led by the Poynter Institute—has trained 6,000 teens, launched a Teen Fact Check Network and partnered with YouTube creators like John Green and Destin Sandlin on digital literacy programming. In Europe we’re supporting Media Veritas to promote media literacy among the most vulnerable communities in Portugal, Student View in the UK to expand its school newsroom program and, in Finland, the Mannerheim Child Welfare Association to run 150 local events focused on digital well being. To help news organizations around the world experiment with new formats, we’ve given more than $5 million in audio innovation grants and launched a $25 million program with YouTube that funded 87 publishers to develop sustainable video operations. TheGNI Cloud program, aimed at small and midsize news organizations, has provided over 6,000 free GSuite licenses and around $1 million in Google Cloud Credits to almost 100 publishers worldwide. Today we’re expanding the program to train 14 news organizations—including Clarín in Argentina and Nikkei in Japan—in machine learning to develop use cases around personalization and content tagging that may ultimately become real products. Newspack is a partnership with Automattic and Wordpress.com to build a fast, secure, low-cost publishing system tailor-made to the needs of small and medium-sized newsrooms. Next week the publications selected for phase one of the program will be unveiled. This is just a snapshot of our efforts to build a healthy future for journalism—a vision that would not be possible without the collaboration and partnership of publishers from across the world. This entry was posted in Official Google Blog and tagged Google News Initiative, google.org, YouTube on March 20, 2019 by The Official Google Blog. Growing up in Costa Rica, I was always passionate about creating things and solving puzzles. That’s what drove me to computer science. I saw it as an opportunity to explore my interests and open doors to new possibilities. It's that love and passion that eventually helped me get to Google, and to the United States, where I now live. Computer science requires students to learn how to think in a totally new way. Getting into that mindset can be really hard for anyone, but it can be even tougher if you’re learning key phrases, concepts, and acronyms in an environment that feels different from your everyday life. That’s why I’m proud to share that Google.org is making a $5 million grant to UnidosUS, the YWCA and the Hispanic Heritage Foundation. The grant will bring computer science (CS) education to over one million Latino students and their families by 2022 with computer science curricula, including CS First, Google’s coding curriculum for elementary and middle school students. Additionally, it will support students' experience with how they learn about computer science, helping them explore CS and offering culturally relevant resources to engage parents. This $5 million grant is part of a new $25 million Google.org commitment in 2019 to increase Black and Latino students’ access to computer science (CS) and AI education across the US. This initiative will help these students develop the technical skills and confidence they need for the future, and help prepare them to succeed in the careers they pursue. Even as a fluent English speaker, I can’t count the number of times people misunderstand me because I pronounce things differently, or the times it takes me a little longer to understand because my day-to-day work language is not my primary language. This language barrier is not the only barrier—students from underrepresented communities, especially those who are Black and Latino, often don’t feel represented or connected to their first introduction to the field. While Black and Latino students have equal interest in CS education, they often face social barriers to learning CS, such as a lack of role models, and a lack of learning materials that reflect their lived experiences, like those that are in a language they understand. On top of these social barriers, these students often face structural barriers, such as not having equal access to learn CS in or outside of the classroom. Along with the grant, CS First is launching its first set of lessons in Spanish. In the first activity, "Animar un nombre," students choose the name of something or someone they care about and bring the letters to life using code. The second activity, "Un descubrimiento inusual,” encourages students to code a story about when two characters discover a surprising object. Today’s announcement is an exciting part of Google.org’s work to support students who have historically been underrepresented in computer science. These grants to partner organizations will help Black and Latino students access materials and engage with role models who feel connected to their culture. We will also help create more opportunities for students to access the courses they need to continue their studies. To me, the new Spanish coding lessons are more than just a fun way to learn coding. They are opportunities for entire communities of students to see themselves reflected in computer science education materials, perhaps for the first time. It’s our hope that students like the ones I met will use CS to create more inventions and opportunities for us all. This entry was posted in Official Google Blog and tagged Education, google.org on March 19, 2019 by The Official Google Blog. In September last year, a large earthquake struck the Indonesian island of Sulawesi. Within hours, a tsunami hit Palu, the provincial capital. Over two thousand lives were lost, making it the deadliest earthquake in 2018. Google.org and Googlers around the world responded by donating $1 million to support relief efforts led by Save the Children and the International Federation of Red Cross and Red Crescent Societies. We also rolled out our crisis response alerts and tools to provide emergency info those impacted. This earthquake was only one of more than 2,000 disasters to strike Indonesia last year. Altogether, the government has estimated that these disasters affected some three million people, causing billions of dollars in damages and a tragic loss of life. Unfortunately, 2018 was not an anomaly and we know that Indonesia will continue to be challenged by natural disasters. At Google.org, we look to help nonprofits on the frontlines of global crisis through funding and volunteers. But we also believe in supporting solutions that could help mitigate the impact of future crises. This is why we’re now helping Save the Children’s Indonesian partner, Yayasan Sayangi Tunas Cilik, with a $1 million grant. Through this grant, they’ll implement a national awareness campaign using online and offline platforms to ensure that schools are safe and children are better prepared for emergencies. It’s anticipated they’ll reach over half a million people, a majority of whom are women and children, some of the most vulnerable people in a time of crisis. Yayasan Sayangi Tunas Cilik will also engage in capacity building with local government bodies in order to improve coordination, planning and response for the Provincial and District level. While disasters like the Sulawesi earthquake are unavoidable, I’m encouraged by the potential of what we can do together to ensure we’re as prepared as we can be. We hope that the learnings from this project will provide a strong framework to scale this work and contribute to long term sustainable disaster preparedness and awareness. This entry was posted in Official Google Blog and tagged Google in Asia, google.org, Indonesia on March 15, 2019 by The Official Google Blog. Last month, eight high school students in Columbia, South Carolina started apprenticeships at local businesses through a program to support homegrown talent in the area. In Cleveland, 25 high schoolers are hard at work on their internships at a local manufacturer, on a track to have a permanent job by the spring. And in Pittsburgh, hundreds of women participated in pay-what-you-can workshops, ranging from DIY synthesizer making to custom vinyl cutting. Since our start last year, the Google.org Impact Challenge has awarded $1 million to 16 nonprofits in four cities: Pittsburgh, Oklahoma City, Columbia, S.C., and Cleveland, all cities we visit on our Grow with Google tour across the U.S. Selected by a panel of local advisors, each organization came up with a new way to create economic opportunities for the communities they serve. At Google, when we see something that’s working, we find a way to make it even better. For our next Google.org Impact Challenge in the U.S., we decided to cast a wider net and support organizations whose reach will extend beyond one metropolitan area. To support Grow with Google’s initiative to create economic opportunities for all Americans, we launched a new statewide Impact Challenge, giving Google.org the ability to support an even more diverse group of organizations. Last September, we convened our first statewide Impact Challenge in Illinois, and 167 nonprofits from all corners of the Prairie State applied with their boldest ideas to make positive change. Today, we are pleased to announce the winners, each of whom will receive $75,000 in grant funding and Google training to make their ideas a reality. One of these winners will receive an extra $250,000, and it’s up to you to pick who wins. You can select your favorite on our site today; voting ends on February 14. After School Matters:Supporting a program to guide disconnected Chicago youth onto individualized college and career pathways. Cara Chicago:Helping people affected by poverty and the challenges that come with it get quality jobs. Future Founders Foundation: Empowering young adults to start their own businesses through a free accelerator. Girl Scouts of Southern Illinois:Increasing on-site accessibility to STEM education for girls in over 40 rural Illinois counties. Illinois Institute for Rural Affairs: Creating community-owned grocery stores in small towns to increase access to fresh produce and meats from local farmers. Manufacturing Renaissance: Offering paid work experiences, training for industry credentials, career and college coaching to underserved youth for careers in manufacturing. North Lawndale Employment Network: Providing transitional jobs for men and women returning from incarceration. Mattoon in Motion:Supporting a sustainable, collaborative space for entrepreneurs to receive training, mentoring, and coaching. True Star Foundation Inc.: Helping small businesses and nonprofits create social media content, blog posts, videos, and more through a youth-led digital marketing agency. YWCA of McLean County:Building employment skills for formerly incarcerated women. Thanks to our panel of local advisors for selecting such a great group of finalists. Now it’s time for you to weigh in. Vote through our website to select which of the 10 winners will receive the People’s Choice Award and and additional $250,000. Public voting will end in one week, on February 14, and the winner will be announced on February 15. This entry was posted in Official Google Blog and tagged google.org, grow with google on February 7, 2019 by The Official Google Blog. This entry was posted in Official Google Blog and tagged google.org, Search on January 22, 2019 by The Official Google Blog. This entry was posted in Official Google Blog and tagged google.org, grow with google on January 17, 2019 by The Official Google Blog.